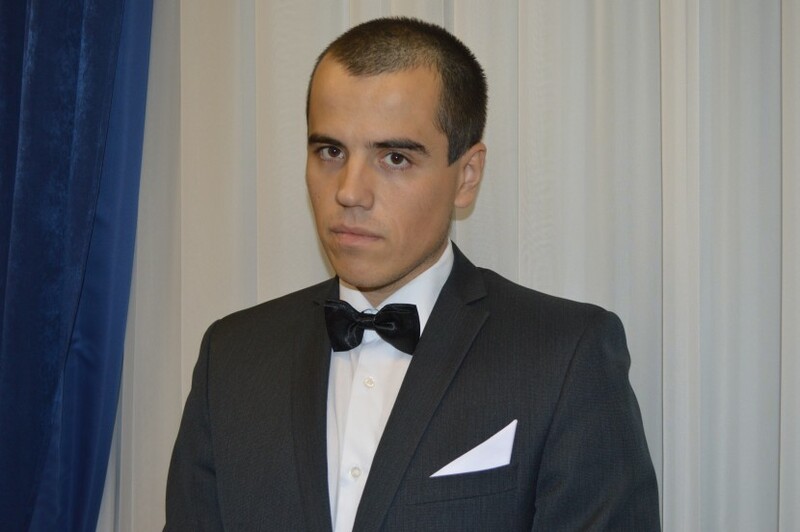 PhD in Political Science, Senior Fellow at Institute of International Studies of Moscow State University of International Relations (MGIMO). Three general strategies can be defined from the post-Soviet anti-secession approaches: the diametrically opposed Russian and Georgian ones, and an intermediary Moldovan one. Neither of the three envisions active warfare in relationships between secessions (including polities that stopped being such) and “mother states” in the near future. Despite it being hard to predict the Donbass situation (neither its institutional structure nor values or actors’ behavioral strategies are firmly established), my suggestion is to compare secession factors in Eastern Ukraine to those that came to be in Russia, Georgia and Moldova. Given the importance of verbal precision from my Georgian friends, first I’d like to outline the terms I am going to use. Russia recognizes South Ossetia as a sovereign state. Georgia, however, calls this territory “Tskhinvali region”, “so-called South Ossetia” and “former South Ossetian Autonomous Republic”. An absolute majority of UN member countries does not recognize South Ossetia as a sovereign state, considering it to be part of Georgia. Therefore, in order to maintain objectivity, we will henceforth refer to this partially recognized state as “South Ossetia/Tskhinvali region”. Strategy of Vladimir Putin towards Chechnya and that of Mikheil Saakashvili towards Pankisi, Abkhazia and South Ossetia/Tskhinvali region were more or less similar. 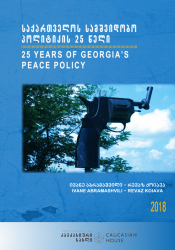 They both included suppression of international terrorism (Russia did that using its own forces, while in Georgia’s Pankisi Gorge it was done within the framework of a crime fighting operation with the help of Americans present in Eduard Shevardnadze’s administration), attempts at external governance and control while maintaining loyalty of the local elites, and cultural reintegration. The difference between them, however, is in the details. While the Kremlin has managed to rally strong support for the federal center via Kadyrov and Yamadaev clans as well as ex-militia turncoats, nobody in South Ossetia/Tskhinvali region took Dmitry Sanakoev, Saakashvili’s appointed figurehead, seriously. The Georgian president’s offer (to establish vice-president post for Abkhazians, veto on cultural issues and etc. ), made in April of 2008, was declined by Sergey Shamba, head of Abkhazian Foreign Ministry. Given Georgia’s strong swivel towards the West in 2006 and onwards, Russia has apparently decided that the January 2004 scenario should not be repeated – namely, when its own Foreign Minister Igor Ivanov convinced Aslan Abashidze, the virtual owner of the Adjara province, to leave the republic, thus playing a pivotal role in restoration of Tbilisi’s constitutional control over the area. 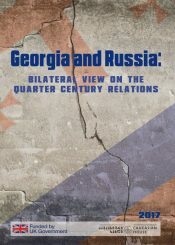 By 2008, Russia could no longer work with Georgia on maintaining its territory, as its growing military-political and economical rapport with NATO and USA was openly opposed to Russia’s national interests. Long before that, President Saakashvili, seeing the immense demand for restoration of stateness and territorial integrity from the masses, started to deviate from the “Chechnya method” while still hoping to implement it later, with support of Western partners (what took place in 2008 was basically such an attempt). After the Rose Revolution, Georgian elites started to develop the territory under their control. What Martin Malek aptly named “Inner Georgia” (UN majority-recognized Georgia without 19% of its territory) became a place for large-scale anti-corruption reforms, restoration of stateness and its function, increasing fiscal performance and supremacy of law, reinforcement of the armed forces, police and the state apparatus, as well as privatization and cuts to bureaucratic expenses. “Instead of waiting for occupied territories to come back, let us develop what we can” can be called an unofficial motto of the Georgian approach towards secessions both before and after 2008. This included provision of highly qualified medical assistance to denizens of Abkhazia and South Ossetia/Tskhinvali region (partly via Dmitry Sanakoev’s administration, which represents official Tbilisi in the region), a joint EU project “Engagement without Recognition”, creation of a Reintegration Ministry and its evolution into a Civil Reconciliation Ministry, even a symbolic trifle such as the toponym “South Ossetia” mentioned on the Ministry’s website – all these steps show that Georgia, despite not having a precise strategy of taking back the unrecognized territories that are now separate formations, does not burn the bridges. Kremlin’s strategy towards Chechnya was completely opposite to the one described above and, in our opinion, more successful. After the militia was largely exterminated and those willing to lay down their arms granted amnesty and accepted into Chechen departments of Russian power structures (Armed Forces, Internal Security, MVD, FSB), the federal center took to restoration of the devastated republic. By 2016, Russia turned it into a controllable territory with functional state institutions, well-developed social space (healthcare, education, interreligious communication, culture) and high level of security for common citizenry. Alongside those, however, an openly authoritarian regime was established, with zero tolerance towards criticism, utter ruthlessness against public political opposition, no legal opponents within the republic’s borders and a personality cult to support its legitimacy. Russian anti-secession strategy amounted to “Bring the republic back into the constitutional field and build a peaceful life within, with clear incentives for local elites”. The Moldovan approach turned out to be a sort of a middle ground between its Georgian and Russian counterparts. Chisinau never tried to create a success story like “Inner Georgia”, nor did it risk using force for reintegration of Transnistria (PMR), as Russia did with Chechnya. This course of action was caused by hard factors: Moldovan economy was barely managing to deal with its own challenges and could not have handled rising of living standards in the already industrially developed Transnistrian region. Besides, Russian peacekeepers stationed in PMR are guarantors of stability, and not just formally. As our respondents stated in in-depth interviews, maintaining the presence of Russian troops is of vital importance: “Even if Russia decides to move their guys out, we won’t let them; otherwise, this place will become Romania overnight.” On the other hand, Chisinau never broke economic ties with PMR, despite periodically blockading the unrecognized republic together with Ukraine: export of electricity, textile goods, machinery produced in PMR reached the EU through Moldova, same as import. Paradoxically, despite not controlling Transnistrian territory, Chisinau never refused over $5 billion of debt for gas, which is currently supplied by Gazprom to PMR at almost no charge. The Moldovan-Transnistrian border is nonexistent – a single policeman manning an improvised post and checking documents arbitrarily, depending on his mood, hardly lives up to the title of a border guard. Moldova still does not have an eastern border, save for the fact that since the beginning of the conflict in Ukraine, the border between it and PMR came under tight control of Kiev. Transnistrian-Moldovan border, however, is very real, down to mass document checks, inspection of heavy transports, brandishing of state symbols, presence of border guards and filling out of admission forms. 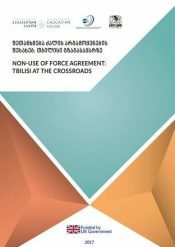 In such an attitude towards border control and secessionist policy lies the main difference between Moldovan and Georgian strategies: while Georgia de-facto acknowledges the borders of Abkhazia and South Ossetia/Tskhinvali region by maintaining constant reinforced control there, Chisinau considers PMR to be its territory, making do with tiny police presence and lack of border infrastructure. 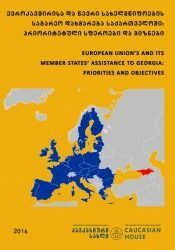 Which strategy can Ukraine opt for in returning the Donbass region, considering that the given situation involves interaction of global powers? The Russian approach, a military operation with subsequent social-economic development is excluded for the following reasons. Firstly, the correlation of Ukraine/Donbass industrial potential resembles that of Moldova/PMR; Ukraine simply does not possess the same level of economic development as pre-war Donbass, and at the moment is physically incapable of dealing with its restoration. Secondly, neither the armed forces of the self proclaimed Lugansk/Donetsk People’s Republics, nor Russia will allow use of force to return the breakaway territories under control of Kiev. If Russian troops really did take part in operations against Ukrainian Armed Forces in the beginning of the conflict (at least in Ilovaisk in August 2014 and in Debaltseve in February 2015), now the number of foreign soldiers has drastically reduced (by at least 7000, according to unofficial Ukrainian estimates), while both DNR and LNR have started military building, albeit still overseen by Moscow. The Georgian approach is far more likely for Ukraine. There is a considerable demand for massive social-economical reforms (which Mikheil Saakashvili and part of his old team are already trying to implement) and Europeanization. Given lack of a national and ethnic border in Eastern Ukraine and obvious immaturity of the national community, many Ukrainians cannot answer some very important questions, such as: what are the criteria of membership in a nation, are denizens of Donbass members of the community or not, should Russian be accepted as a second state language or not, would federalization be appropriate or not, etc. In such a situation, getting Donbass back is not at the top of Ukraine’s national priority list. There is no national consensus regarding the DNR/LNR problem – while Ukrainians definitely want to get their territories back, reintegration of Donbass denizens is under a big question mark. According to polls conducted by Ukraine’s Razumkov Center, the people’s opinion has not really changed over the past year. When confronted with a question “What is the further course of action in resolving the conflict in the southeast?” 33-35% of the polled insist on continuing military action until full liberation of occupied areas, 24-30% want the region to have a special status, 18-20% suggest separating these territories from the rest of the country, while the remaining 18-23% provide no answer. This is how Ukraine is different from 1999-2000 Russia, where attacks of Chechen terrorists on the country’s central regions have led to a steady demand for resolution of the Chechnya problem, and from 2003-2004 Georgia, when Mikheil Saakashvili won in the Rose Revolution, taking advantage of immense demand for reforms and restoration of territorial integrity. Therefore, the Georgian approach of “restoring what you control while hoping to get the seceded territories back in the future” is more likely for Ukraine. Now let us take a look at the Moldovan approach. On one hand, OSCE opposes freezing of the conflict (which is how most of Europe sees it), hoping for its resolution. On the other hand, both Ukraine and Russia paradoxically (but unofficially) agree that the conflict will most likely end up frozen. For Ukraine, this involves continuation of Western sanctions against Russia and accusations of not upholding the Minsk agreements. Further sanctions give pro-Western Ukrainian elites a faint hope of Russia becoming unable to support LNR/DNR neither economically nor militarily and definitely unable to facilitate their military expansion towards Kiev and/or areas of ”Novorossiya”. This position is not actually voiced in official statements by Ukrainian elites, but is clearly transmitted by unofficial channels. In turn, Russian administration perfectly understands that Kiev will not adhere to Minsk agreements, which envision elections in both DNR and LNR, changes to Ukrainian Constitution and only then transfer of border control to Kiev. Thus, in 2016 Kremlin opted for state-building within the self-proclaimed republics instead. Besides, the Moldovan strategy seems to be impossible to implement due to the conflict being drenched in blood. Approximately 1000 people perished on each side of the war in Transnistria in 1992. According to UN data for May 3 2015, 6243 people have perished in the Donbass conflict. There were six waves of military mobilization in Ukraine, in addition to volunteer battalions. In Donbass, the level of involvement of local population in local militia is even higher. The war has already “made it to the museums” on both sides, and families of the deceased already tell stories of men heroically dying in battle. The overall national narrative on both sides is changing towards hatred and resistance of the enemy, which clearly distinguishes Donbass from PMR, which does not view Moldova with such negativity. 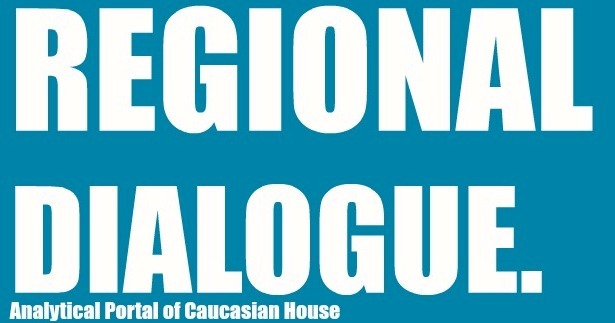 Finally, even if we consider geographical conditions (lack of natural barriers functioning as borders between Donbass and its formal owner Ukraine, as well as an ambiguous “contact line” between the sides), lack of ethnic and linguistic disagreements between DNR/LNR and neighboring Russian-inhabited and Russian-speaking regions of Ukraine, pressure of sanctions upon Russia, which (unlikely, but not worth overlooking) might stop supporting the self-proclaimed republics, constant skirmishes between elite groups at Donbass in struggle for resources and an extremely low level of internal sovereignty of breakaway territories, Ukraine will be unable to reintegrate the population of Donbass. Negativity towards the Ukrainian state is lodged in mass consciousness. Some pro-Ukrainian denizens remain, although they are in absolute minority. Positive recollections of life in Ukraine generally survive only as nostalgia for peaceful life. Regardless of how my interviewees in Donbass viewed their own authorities, return into Ukrainian constitutional space seemed impossible to them. Acknowledging widespread use of torture to extract confessions, abductions, low level of medical and financial support, pathetic salaries and pensions, lavish spending of local leaders on promoting their own image and presence of criminals in the militia, denizens of Donbass keep saying “as long as it’s not Ukraine”, although all the conditions listed above completely discredit the ideas of the “Russian spring”. “80% of people on the other sight of the front are Russians, Natonalists are a minority. I went to war when a “Grad” salvo leveled a neighboring house,” claims one of the militants. Associate professor of Donetsk National University, who preferred to remain anonymous, explains: “Ukraine itself pushes us away by continuing bombardments. We are oriented towards integration with Russia not because it was decided so in the Kremlin, but because we are tied to it culturally, linguistically and historically far tighter than with Ukraine”. Given such attitudes, even if Ukraine manages to get its territories back through some miraculous feat, they will act as a timebomb that will inevitably explode at the first sign of a new wave of Ukrainisation.